A sure-fire way to eat up all your free time! Well here's a neat feature that people have been asking for. You can now enjoy cross-platform cloud saves between the Switch and Steam versions of Civilization VI! That should make it a lot easier to enjoy your Civ games both at home on your PC, and on the go. NBA 2K19 has gotten an update, and it seems like a smaller round of fixes. Check out all that was offered up on this patch below. The Safe Schools for Alex Court is live in Playgrounds 2! Check it out now and don't forget 2K & Saber are matching all donations to Safe Schools for Alex up to $100,000 to raise awareness and support for the Safe Schools for Alex initiative! 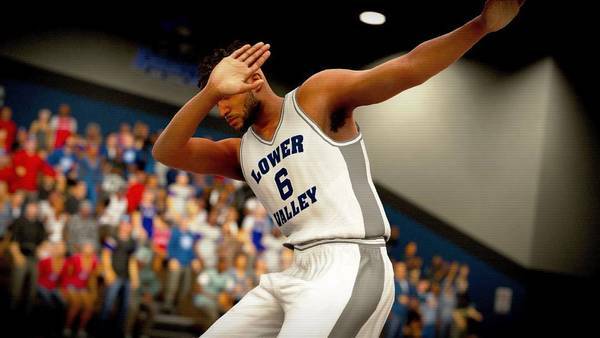 The Safe Schools update for NBA 2K Playgrounds 2 features a custom court, sound bites from celebrities, athletes and influencers, and plenty of familiar faces in the crowd, in addition to the over 200 current and retired NBA players included in the game. The soundtrack will also be updated to feature Chicago’s hit song "25 or 6 to 4," as played by the Marjory Stoneman Douglas High School Jazz Band, and sound bites and a rap by renowned South Florida resident Vanilla Ice. Earlier today, we learned that NBA 2K19 had exceeded expectations on the Switch. Good to know that version is doing its part to bump up series sales overall. 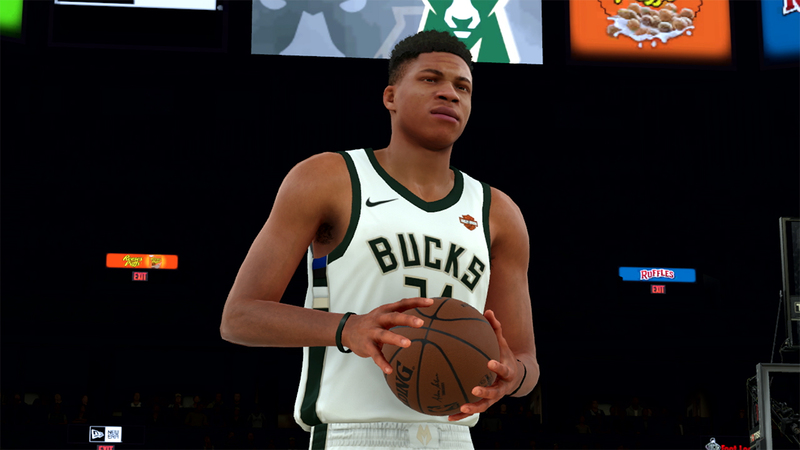 Take-Two has revealed that since the NBA 2K series has launched, it managed to move “nearly” 90 million units worldwide. The last update we had on this figure was back in Aug. 2018, when the series had moved 80 million units worldwide. NBA 2K Playgrounds 2 is set for an update this Thursday, and it looks like there will be some new All-Star content for the game. When official details are shared for the content update, we'll be sure to give you the full scoop. Tired of updating your games? I sure hope not, as NBA 2K19 just got another patch. Check out full details of this update below. NEW YORK--(BUSINESS WIRE)--The National Basketball Association (NBA), National Basketball Players Association (NBPA) and 2K, a wholly-owned label of Take-Two Interactive Software, Inc. (NASDAQ: TTWO) and publisher of the leading global basketball video game NBA 2K, today announced a significant, multiyear global partnership extension. 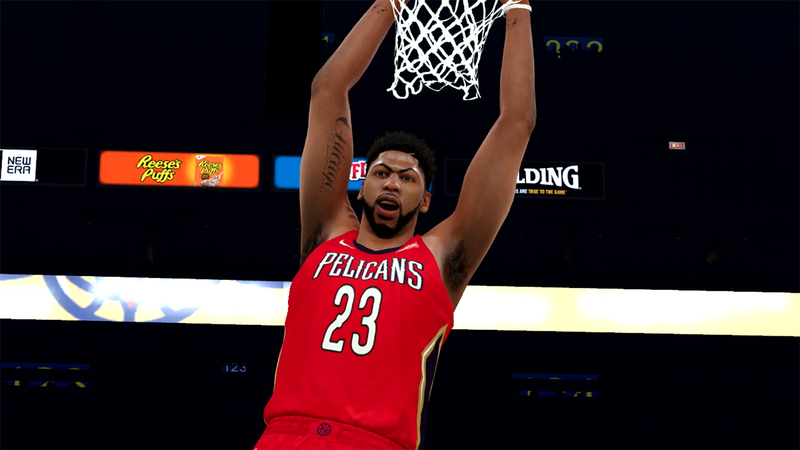 The agreement expands upon the success of NBA 2K, the top-rated and top-selling NBA video game simulation series for the past 17 years* that has sold-in more than 86 million units worldwide. NBA 2K19 has been updated to Version 1.05 on Switch. Check out the full patch notes for the update below. – In Play Now Online, the opponent’s uniform will now be displayed in the pre-game settings (to minimize uniform conflicts in games). – If two users pick the same color uniform for a Play Now Online game, the last user to select their uniform will have their uniform automatically changed to one of another color during loading. – Improved logic and visuals of “pulling the chair” in the post. – Fixed a case where certain stat combo performance incentives (e.g. 25 points and 12 rebounds) were not consistently rewarding the user with the correct amount of VC. – (Switch) Players will no longer appear without uniforms when they play a game in which the Ring Ceremony took place. – Fixed an issue where headphones would be removed when entering Ante-Up or using the Subway. – Users are now able to see other players’ headphones when viewing them in the Neighborhood. – End-of-game improvements to the Dodgeball experience. – Improved lighting quality inside the new Ante-Up daily spin room. – The VC amount should now always properly appear above the court when in the Ante-Up courts. – When playing a crew game, all users will properly appear in their crews uniform (i.e. will not appear as a mascot). – Fixed a disconnect issue that users were reporting during the Court Conquerors events. – (Switch) Fixed an issue where areas of the walls would lack collision in the new Ante-Up prize wheel room. Make sure to visit location daily to get in your free spins for prizes! – Users will no longer be required to finish out games against all AI players when the opposing team forfeits by leaving the game. – Added the ability for users to view what Moments cards are currently available in Heat Check and League Moments packs (press ‘Y’/Triangle button when viewing those packs in the Pack Market). – Cards will now visually show their new, upgraded gem levels when a Duo boost bumps them up over a threshold. – Addressed a pause glitch that allowed some users to pause a Triple Threat Online game indefinitely. – Fixed an issue where the proper Heat Check attribute/overall rating boosts would not display upon visiting the Lineups menu. – Head-to-Head game types (Play With Friends, Unlimited) should now use default free throw difficulty settings rather than the global settings of one of the users involved in the game. – Improved server stability and performance in MyLEAGUEOnline. – Gameplay-related Rule Changes (voted on in the offseason League Meetings) should now properly take effect during head-to-head games in MyLEAGUE Online. – Fixed a hang that some users would see down the line after previously importing a player’s appearance using Player DNA. If you previously encountered this issue, your save should now be retroactively corrected.